Kevin Ouellet, alias DJ Omnimaga, is an active TI calculator community member who started programming the TI-83/83+ calculator in July 2001 then moved on to the HP Prime and TI-84 Plus C Silver Edition in 2013 then the TI-84 Plus CE in 2015. He is mainly notable for his many RPGs released, as most were the longest and most complex RPGs developed on the Z80 models, and include the Illusiat series, The Reign of Legends series, Reuben Quest series (the first grayscale games ever made in hybrid TI-BASIC), Mana Force and First Fantasy. Starting TI-Basic programming in July 2001, he used this language through almost his entire programming career, along with assembly libraries starting in 2003 to enhance his games. In his early programming career, his release rate was quite rapid, sometimes finishing two large RPGs in a single month. As a result, the Illusiat series, excluding the 13th game, was finished in less than one and a half years, with several other releases in between including three other large RPGs. He slowed down to two or fewer releases per year in 2005, however, and after Reuben Quest: The Lost Mirror in January 2005, it took over one decade before he releases a major RPG again. His other non-RPG products include Metroid II: Evolution, Metroid II: The Last Chozo Expansion Set, xLIB xLIB Revolution and a TI-81 remake of the first Illusiat game. In the TI community, he also contributed with the creation of Omnimaga in 2001 and CodeWalrus in 2014, which are websites and programming teams. He started participating in online forum discussions only in 2003, two years after releasing his first game and first used calculator IRC channels in early 2005. 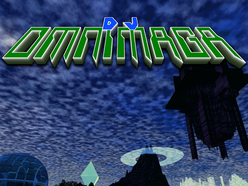 Omnimaga eventually became one of the most active forums before shutting down in 2008. He reopened another Omnimaga site later that year, which eventually led the TI community in activity for a few years before slowing down. Life issues spanning from the second half of 2009 until early 2011 caused his health to slowly deteriorate. This combined with TI community disputes (see below) led him to take a step back from most calculator sites and some of his Omnimaga duties (including FTP access). In early 2011, life issues ended, but his health would continue to deteriorate for months before finally starting to improve, and it would never fully recover. As a result of this combined with more TI community problems, he was forced to retire from Omnimaga staff entirely in July 2011. After his health had improved again, he would return as news editor, but his interests were slowly shifting away from calculators, causing him to announce in June 2012 that he was officially stopping calculator programming (although he had actually stopped coding for two years beforehand) and would no longer post calculator-related news on a regular basis. In late 2012, however, as the TI-84 Plus C Silver Edition was leaked, he started TI-84 Plus BASIC again and then switched to TI-84 Plus C Silver Edition BASIC as soon as the new calculator came out in Spring 2013. Around that time, he also experimented with HP 39gII and HP Prime programming and released one game for each calculator. He finally got involved in TI-84 Plus CE BASIC and ICE programming and made several games for that platform, although as of 2017 he has ditched programming entirely once again to concentrate exclusively on game projects that don't involve any coding (such as with RPG Maker) and music making. In late 2014, he discovered that it's possible that he has asperger syndrome and realized that it might have played a role not only in several TI community misunderstandings, but in real life as well. Because of this, as well of controversial administration behavior on Omnimaga after he stepped down, he decided to branch out to a new website called CodeWalrus in October 2014. In addition to that, while his life situation had improved considerably after 2011, the issues that he had faced beforehand not only still happened from time to time, but the lack of privacy became an increasing problem. This, combined with poor public transit services, forced him to switch jobs and move to a different city. However, his financial situation prevented him from moving out immediately and the extra wait and high-risk factor of this project led to post-traumatic stress disorder. The social issues that it caused ultimately forced him to move almost in the middle of the night with less than 24 hours notice, leaving almost everything other than his computer behind, including almost his entire TI calculator collection. This also forced him to alter some of his way of life drastically. He is currently part of the CodeWalrus staff, but most CodeWalrus activities have moved to its Discord server. Ironically, Sorunome's Axe and ASM remakes of the two Reuben RPGs competed against each others for a POTY award as well, this time in 2014. Sorunome's ASM remake of his Reuben Quest 2 game won the TI-83+ POTY 2014. DJ himself won his own POTY with First Fantasy: Mana Force in 2015. Although Kevin did not have an immediate impact in the TI community when he first started participating, the release of an unfinished version of The Reign of Legends 3 in 2004 led to the creation of xLIB by Patrick Prendergast in response to the slow speed and difficulty that many existing ASM libraries had at the time. The subsequent release of Reuben Quest grayscale led to xLIB being converted into a hook-based Flash Application for faster speed. In addition, those RPGs inspired several people to get into RPG development and use ASM libraries in their own BASIC games. The release of the Reuben series also sparked an article on ticalc.org asking if it was time to replace TI-BASIC. As he took a strong stance against hostility in the TI community, Kevin was in the middle of many disputes as well. In the early days where some of his games would make ticalc.org front page news, it was unusual for a TI-Basic program to get featured. As a result, those news often started ASM vs BASIC arguments in comment pages, occasionally questioning the newsworthiness of TI-Basic programs. Early on, he denounced lack of respect towards TI-Basic programmers in particular, to eventually denounce obnoxious comments in general towards new members, defend the usage of ASM libraries in TI-Basic and to a lesser extent Axe programmers. In 2005, he decided that his newly-created Omnimaga forums would have a strong stance against hostility in general. However, from 2005 to 2009, he also started an unofficial campaign to get moderators and administrators of every forum to take action against such behavior as well. This caused extra fights and tarnished his reputation, as other administrators considered that it was up to them to decide what is allowed on their respective websites. It was also made particularly worse due to his sensitivity. The stricter moderation against trolling on Omnimaga and its IRC channel #omnimaga was highly controversial among defenders of freedom of expression in #TCPA, and the banning of certain #TCPA people from #Omnimaga and Omnimaga sparked IRC wars and many attempts to get Kevin to leave the TI community or close his website. In 2008, it culminated in the demise of the previous Omnimaga website, and per Kevin's request and as a protest against the general lack of respect towards him despite all his contributions, the removal of his ticalc.org profile and files. In early 2009, after Omnimaga had re-opened due to much demand, he stopped his campaign to get other forums to become friendlier, realizing it caused more problems than benefits. He decided to take a different approach instead, focusing entirely on Omnimaga's hostility-free mentality to attract members. After over a year of no disputes or attacks, Kevin eventually put his calculator releases back on ticalc.org. In 2011, a rivalry started between Cemetech and Omnimaga, as both forums were very active, but had opposite mentalities on many fronts. This led to another peak of disputes in March and April 2011. Since some people involved in the 2008 disputes became involved again, Kevin responded by pulling his ticalc.org files again for another two years. This, combined with aforementioned real life issues eventually led to his retirement from Omnimaga as an administrator in July 2011. He has later returned into TI and HP programming due to the arrival of color screen calculators, but eventually became frustrated with the many change in policies and mentality that took place on Omnimaga since he stepped down, as well as the increasing bias of certain staff members, and there were no prospect of allowing him back in the team, even after his personal issues had ended. When the situation became unsustainable, he started a new website called CodeWalrus, which shares the same policies and a similar mentality as Omnimaga had back in the days. The website caused controversy, as its stance was not well understood by certain community members and it opened at a time of diminishing community activity, but as many people wanted the old Omnimaga policies back, the new website gained a large following until 2017. It RPG Is! is a fake company name that is sometimes being used as alternate alias by DJ Omnimaga when releasing calculator games on CodeWalrus since 2016. All games released under that alias are intended to be satirical, poking fun at low-quality games released during the 8-bits and 16-bits era, often with references to popular Internet culture (most notably Engrish and LJN, to the point where the It RPG Is! logo is basically a rip-off of LJN's logo). The only games released so far under that alias are Opossum Massage Simulator for the TI-84 Plus C Silver Edition and TI-84 Plus CE, which is intended to be an unnoficial sequel to the infamous Super Famicom game called Hong Kong 97, and Desert Bus II, a follow-up to the Sega CD game Desert Bus that was bundled in the canceled Penn and Teller's Smoke and Mirror game.